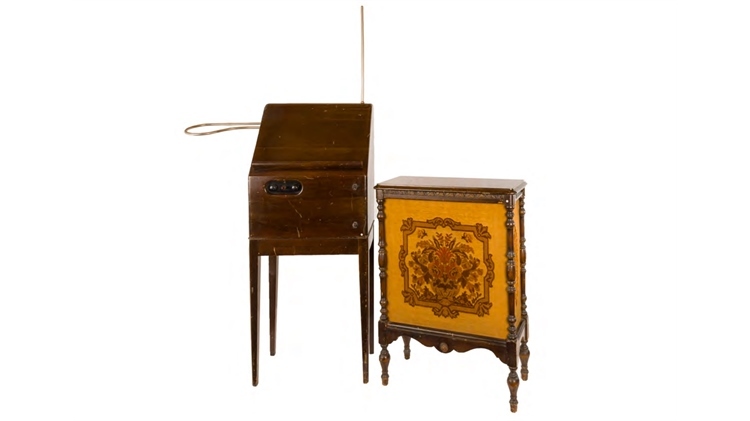 Hot on the heels of the previous RCA Theremin being listed for sale, we've learned that another RCA Theremin will soon go on the auction block. This unit is part of the John Terrey collection of vintage radio and electronics going up for auction on September 18th in Carlisle, Mass. The auction website does not list many details for this unit (including the serial number). It does mention that the theremin is in "very good condition" with "good tubes". We've reached out for more information and will update this article if we hear back. The listing states that the RCA and speaker are expected to sell for $6,000 to $12,000. Absentee, phone, and Internet bidding will be available, although the listing states that the buyer must arrange for local pickup. Update - According to a flyer obtained from the auction organizer, the serial number of this theremin is 100111. More information is available at terreyauction.com.